Soft and gentle with each use. Unlike when using paper tissues we won't leave any chlorine bleached waste after each blowing! Water consumption for the production of single use paper tissue is 2 liters, while water consumption for one use of handkerchiefs (production + washing) is 0.5 liters - can be used around 520 times. Organic cotton, from which your new bedding is made, has been grown, produced and certified according to the standards of the international organization GOTS. These standards set out the methods relating to growing cotton, its harvesting and the production of clothes and other textile products including colours, threads and buttons, while having regard to the social and working conditions of the workers. Find out more about cultivating and producing organic cotton (video in English). 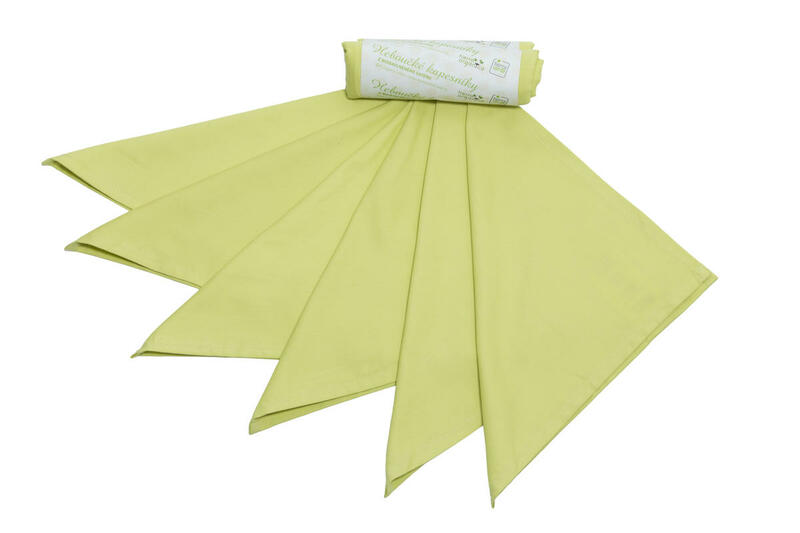 Subject * Product inquiry Mens' Handkerchiefs – lime (36×36 cm) 6 pcs RMA Misc.